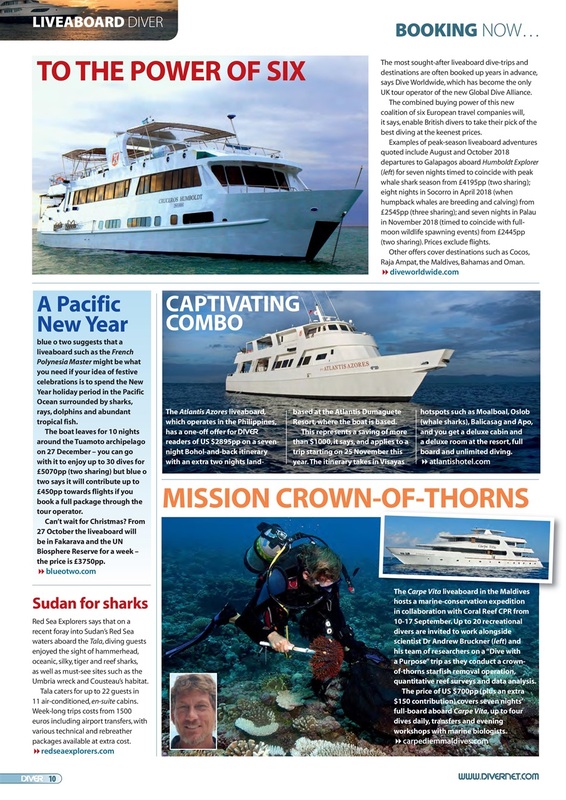 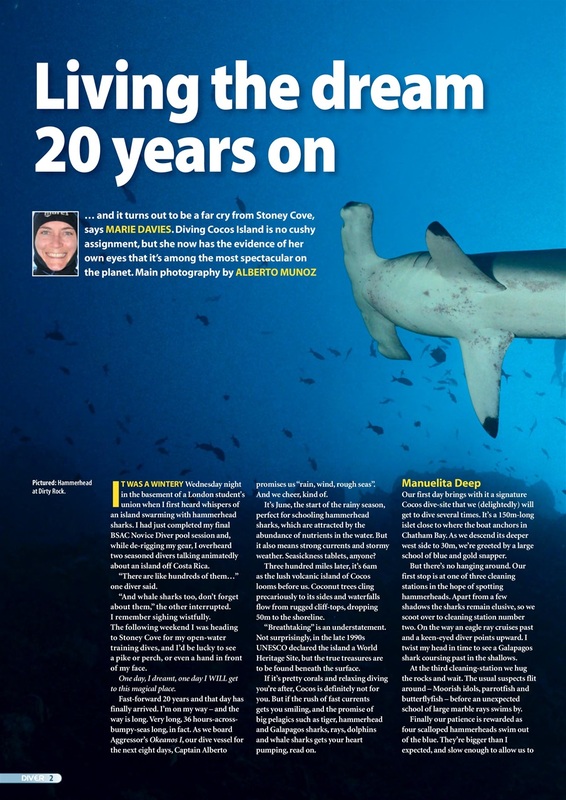 In the LIVEABOARD 2017 Supplement COCOS - Living the dream. INDONESIA - Incredible diversity on a three-part trip. 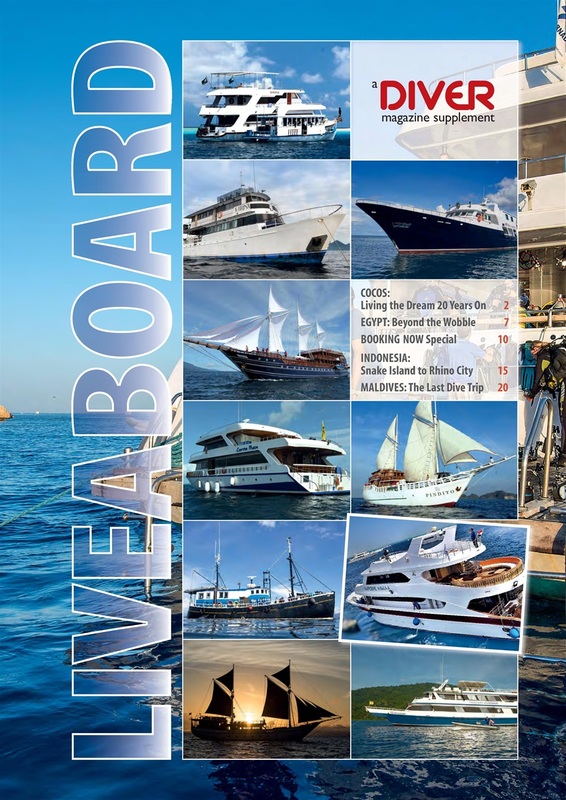 BOOKING NOW - Liveaboard Special. 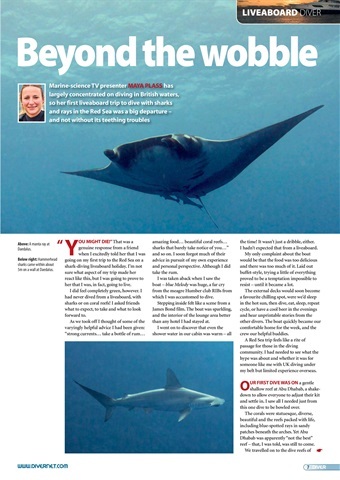 RED SEA - A shaky start, then Maya Plass gets into her stride. MALDIVES - A special safari - with Nigel Wade in his element. COCOS - Living the dream. 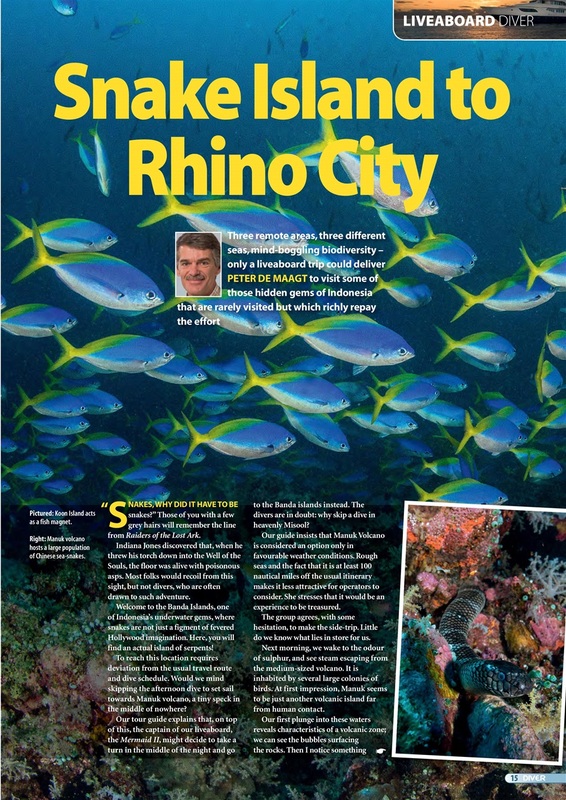 INDONESIA - Incredible diversity on a three-part trip. BOOKING NOW - Liveaboard Special. RED SEA - A shaky start, then Maya Plass gets into her stride. 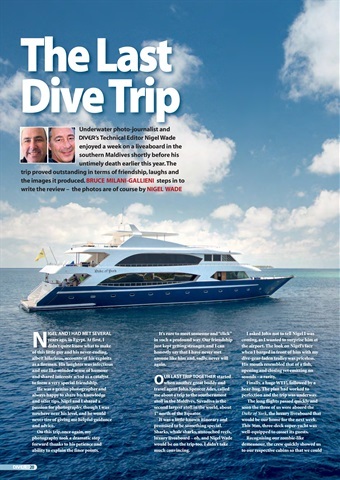 MALDIVES - A special safari - with Nigel Wade in his element.